Step out of Cordoba to go to Montilla and see Bodega Pérez Barquero, which is approximately 54 minutes away. 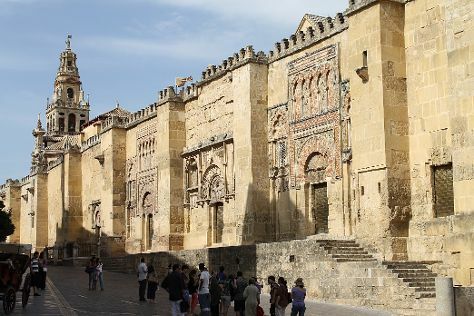 The adventure continues: admire the landmark architecture of Museo Mezquita Catedral de Córdoba, make a trip to Plaza de la Corredera, take in the pleasant sights at Visual Axes, and steep yourself in history at Alcazar de los Reyes Cristianos. For traveler tips, more things to do, photos, and more tourist information, read our Cordoba itinerary maker. Exeter, UK to Cordoba is an approximately 7-hour flight. You can also take a train; or do a combination of ferry and car. The time zone difference moving from Greenwich Mean Time (GMT) to Central European Time (CET) is 1 hour. Traveling from Exeter in March, things will get a bit warmer in Cordoba: highs are around 22°C and lows about 8°C. 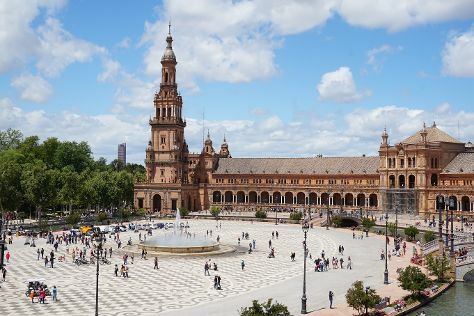 Wrap up your sightseeing on the 18th (Sat) to allow time to take a train to Seville. Pack the 22nd (Wed) with family-friendly diversions at Parque Isla Magica. There's much more to do: take an in-depth tour of Royal Alcázar of Seville, browse the exhibits of Seville Museum of Fine Arts, don't miss a visit to Metropol Parasol, and admire the striking features of Seville Cathedral (Catedral de Sevilla). For other places to visit, more things to do, maps, and tourist information, refer to the Seville itinerary builder. You can take a train from Cordoba to Seville in an hour. Other options are to drive; or take a bus. In March, plan for daily highs up to 22°C, and evening lows to 8°C. Finish your sightseeing early on the 30th (Thu) so you can drive to Huelva. Huelva is a city in southwestern Spain, the capital of the province of Huelva in the autonomous region of Andalusia. 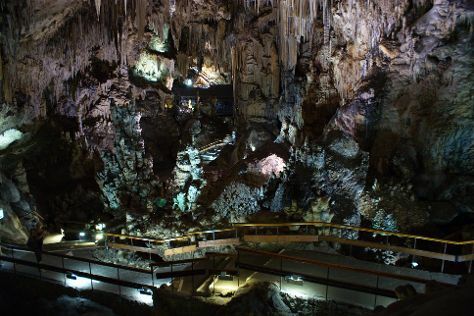 Get out of town with these interesting Huelva side-trips: Fieldwork Riotinto (in Minas de Riotinto), Bollullos Par del Condado (Bodegas Iglesias, Bodegas Privilegio del Condado, & more), Finca la Suerte (in Galaroza), Aracena (Gruta de las Maravillas & Sierra eXtreme, Aracena), Tienda Consorcio de Jabugo (in Jabugo) and Club De Golf El Rompido (in Cartaya). Spend the 31st (Fri) exploring nature at Parque Nacional de Donana. There's still lots to do: steep yourself in history at La Rabida Monastery, pause for some serene contemplation at San Juan Bautista Church, explore the historical opulence of Castillo de Niebla, and tee off at Hotel Nuevo Portil Golf Course. For maps, where to stay, and tourist information, use the Huelva custom trip planner. You can drive from Seville to Huelva in an hour. Other options are to drive; or take a bus. In March, plan for daily highs up to 22°C, and evening lows to 9°C. Cap off your sightseeing on the 6th (Thu) early enough to go by car to Cadiz. Cádiz is a city and port in southwestern Spain. Explore Cadiz's surroundings by going to Jerez De La Frontera (Tabanco Plateros & Catedral de Jerez de la Frontera), Playa de Zahara de los Atunes (in Zahara de los Atunes), Ya En Tu Casa - El sabor de Andalucía (in Vejer de la Frontera), Tarifa (Playa de Bolonia & Los Lances Beach), La Barrosa (in Chiclana de la Frontera) and Cabo Trafalgar (in Los Canos de Meca). And it doesn't end there: do a tasting at Bodegas Luis Perez, don't miss a visit to Museo Arqueológico Municipal de El Puerto de Santa María, pause for some serene contemplation at Catedral de Cadiz, and stroll through Park Genoves. To find traveler tips, other places to visit, maps, and other tourist information, use the Cadiz vacation builder. Getting from Huelva to Cadiz by car takes about 2.5 hours. Other options: take a bus; or take a train. In April, plan for daily highs up to 23°C, and evening lows to 15°C. Finish your sightseeing early on the 11th (Tue) so you can drive to Ronda. Ronda is known for sightseeing, nature, historic sites, museums, and nightlife. Your plan includes some of its best attractions: explore the striking landscape at El Tajo, get outside with Ronda Dressage, trek along Cycleronda, and relax in the rural setting at Reservatauro Ronda. To find more things to do, other places to visit, and other tourist information, read Ronda trip builder. You can drive from Cadiz to Ronda in 2 hours. Alternatively, you can drive; or take a bus. Traveling from Cadiz in April, you can expect nighttime temperatures to be a bit cooler in Ronda, with lows of 12°C. Wrap up your sightseeing on the 20th (Thu) early enough to drive to Granada. Granada is known for historic sites, sightseeing, nightlife, spas, and religious sites. 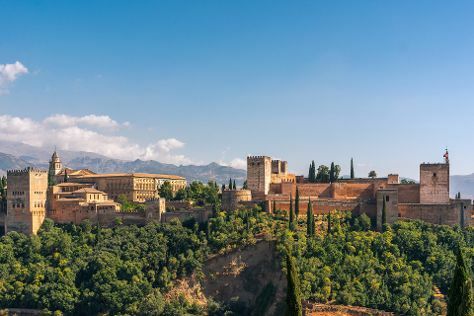 Your plan includes some of its best attractions: admire the striking features of Alhambra, make a trip to Fuente De Las Batallas, tour the pleasant surroundings at Generalife, and wander the streets of Sacromonte. To find photos, more things to do, other places to visit, and other tourist information, go to the Granada custom trip planner. Traveling by car from Ronda to Granada takes 2.5 hours. Alternatively, you can drive; or take a train. Expect a daytime high around 24°C in April, and nighttime lows around 10°C. Cap off your sightseeing on the 3rd (Wed) early enough to go by car to Malaga. Venture out of the city with trips to Benalmadena (Parque De La Paloma & Benalmadena Puerto Marina), El Torcal Natural Park (in Antequera), Nerja (El Puente del Águila, Church of El Salvador, & more) and Marbella Old Quarter (in Marbella). There's still lots to do: get engrossed in the history at Alcazaba, don't miss a visit to Puerto de Malaga, examine the collection at Museo del Vidrio y Cristal de Malaga, and identify plant and animal life at Butterfly Park of Benalmadena. To see photos, where to stay, reviews, and tourist information, read Malaga trip itinerary maker. You can drive from Granada to Malaga in 1.5 hours. Other options are to drive; or take a bus. Expect a daytime high around 28°C in May, and nighttime lows around 17°C. Cap off your sightseeing on the 10th (Wed) early enough to travel back home.